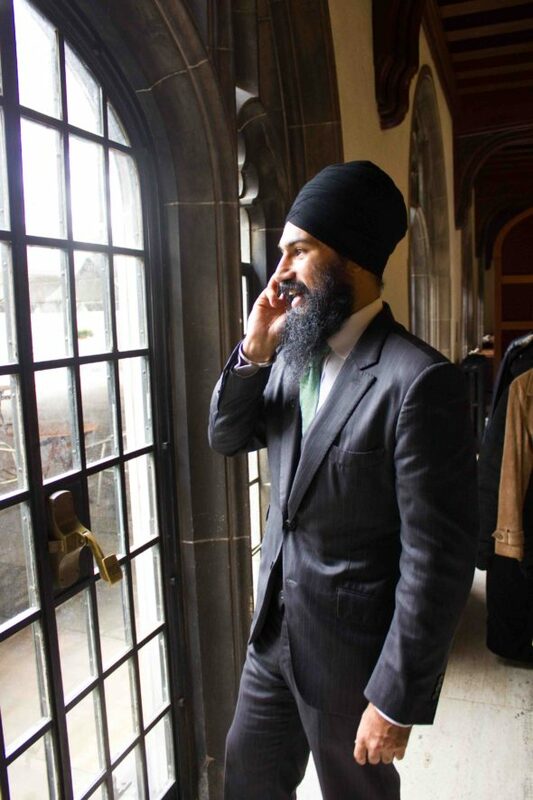 Jagmeet Singh was already the first turban-wearing Sikh in Ontario to sit as a provincial legislature when the New Democratic Party elected him as their next leader on Oct. 1. Now he has become the first person of colour to lead a major Canadian party. This is a big milestone for the South Asian Canadian community, and for equality in Canada. But it comes at a time when many are noticing a rise in racist discourse both domestically and abroad. Jagmeet Singh faced a symptom of that spike last month, when he found himself face-to-face with a heckler who stormed the stage at one of his campaign events and accused him of being “in bed with” Sharia law and the Muslim Brotherhood. Video of the incident has since gone viral. What happened to Jagmeet then was just one example of what public figures of South Asian descent are commonly subjected to when they step into the limelight. Other politicians with a similar backgrounds can attest to this. The incidents of racism that public figures from marginalized communities in Canada face are often much less publicized than Jagmeet’s recent encounter. Campaign signs for politicians of South Asian origin are regularly vandalized with racist messages during elections in the City of Surrey and elsewhere in Canada. Discussions about South Asian politicians on Facebook and message boards too showcase the very worst of our nation’s thoughts towards these public figures. Rachna Singh, a member of the B.C. 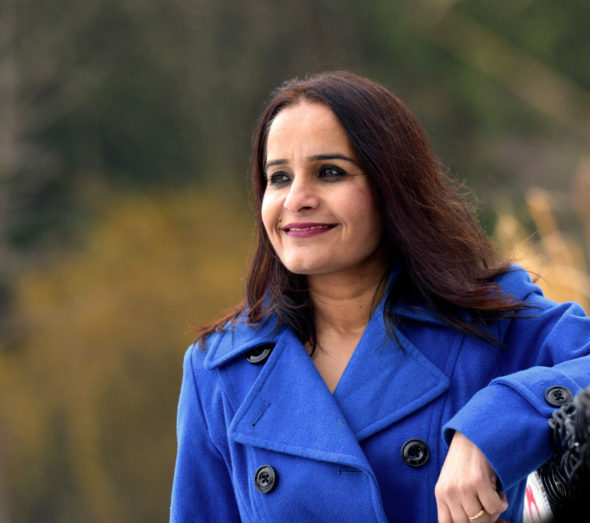 Legislative Assembly for Surrey-Green Timbers who moved from India to Canada in 2001, says that she has dealt with prejudice throughout her career. Often, this racism comes in the form of the perception that she won her seat as a result of her ethnicity, and that she used it to win over the local South Asian community as voters. 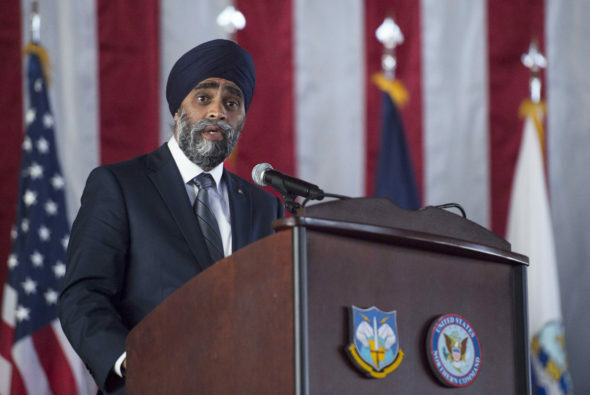 Harjit Sajjan has faced prejudice throughout his career, both as a politician and as soldier. He recalls his early days in the military, when several of his commanding officers were hostile towards him for serving due to his ethnicity. Sajjan’s response to racist or bigoted actions was to lead by example—an approach that he today advises young people of colour to adopt. He says that he continued to serve in the military and used his personal success as a way to change minds about South Asian servicemen among the ranks. Still, many in the South Asian community have seen a spike in racist rhetoric not only online and behind closed doors, but also in public spaces. In the weeks following the election of Donald Trump as President of the United States, Rachna organized a community forum in her home riding to address what’s been seen by many as the rising tide of racism in North America. Rachna specifically cites an incident that occurred in June, when members of the white supremacist organization Soldiers of Odin protested outside of a Surrey mosque. “Some of them approached me and they’re saying, ‘Go home,’ but this is home for us. These are the kids who were born and brought up here,” she says. Rachna combats these situations by using her platform as a public figure of colour to speak out against hateful and bigoted thought. Harjit Sajjan and Rachna Singh both say that it is the job of all Canadians to speak out against racism and stand up for inclusivity, and that it is the job of politicians like them to start those conversations. A Statistics Canada report published in June provides evidence that hate crimes in Canada have become increasingly common over the past few years. Out of the 13 provinces and territories, B.C. had the fourth highest number of hate crimes committed in 2015 with 164, 38 of which targeted religious minorities. This is alarmingly disproportionate to the size of B.C.’s population, which is about four times larger than the population of Manitoba. Despite this, the number of the hate crimes committed against religious people here in 2015 was almost 10 times higher than it was there. Though these figures can appear discouraging, especially for people of colour in the province who become or hope to become public figures, it has not prevented many of them from entering politics and serving their communities. Despite the fact that he has experienced numerous instances of cultural ignorance and racism, Kwantlen Student Association President Tanvir Singh says that he is optimistic for Canada’s future. He says that Jagmeet Singh’s response to the heckler last month represents these values of acceptance, specifically when he chose not to react by clarifying that he was Sikh in response to being incorrectly labelled as a Muslim.